On 22nd of July, as Murali created history by taking 800 test wickets; there was a lot of buzz about him in Social sites. 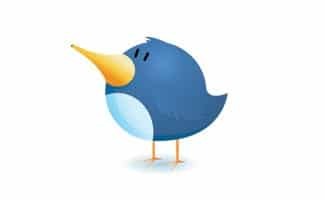 Twitter one of the popular Social networking site which uses trends to determine who is being talked about currently. It was expected from Twitter users to talk a lot about Murali, because taking 800 wickets is a milestone event and only a legend like him can do it. After he achieved it he topped the Twitter trends by evening (IST) surpassing the much hyped movie – #Inception. 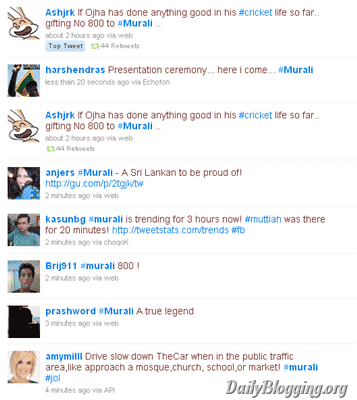 Murali then became the second Sri Lankan to be in the twitter trends after Prabhakaran. Check out the tweet message from a Sri Lankan citizen for confirmation of the same. 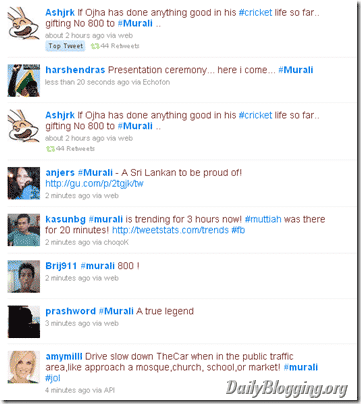 Below are images of the trend list & tweets mentioning Murali at the moment when Murali was trending, but wasn’t on top since at the time he took the 800th wicket I was watching the match and not taking screenshots. Do you have any extra information on this topic ? then share it using the comments section!